Hi! 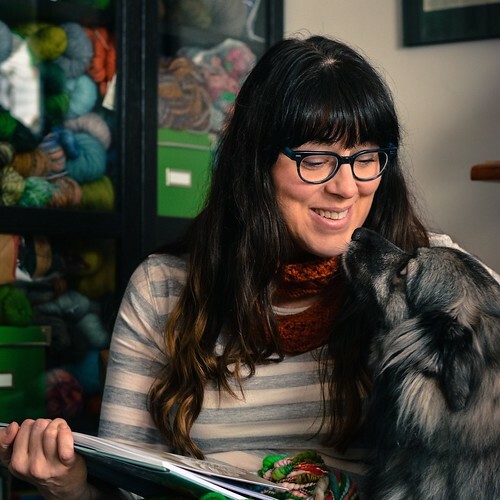 I'm Martha, the head maker and founder of Tuft Woolens! I first discovered my love for creating as a young girl. My creativity was fostered by my Mother, a master knitter; I never shied away from new subjects, including drawing, ceramics, jewelry, aromatherapy, soap making, photography and most recently fiber arts. Born of a desire to marry my love for fiber arts with my passion for soapmaking, Tuft Woolens' signature product, "Sock Soap," became reality! A wonderful soap that contains lanolin to help soften and condition your woolen items. Over 12 years experience in the cosmetic industry gave me the basics I'd need to begin my new venture. I wanted to develop a product free of the chemicals and cheap perfumes found in most wool washes and soaps. I realized that making my own products enabled me to feed my need to create while giving me the freedom to control the quality of the ingredients. Each bar is made by hand in our home soap studio, tucked away in the hills of Southern Ohio. This creative journey began in earnest once I mastered the art and science of cold process soap making. From there, I began researching, creating and experimenting with a variety of products, focusing on natural, sustainable and organic ingredients. Both my background in aromatherapy and experience in the cosmetic industry allow me to blend essential oils and herbs into beautiful, sophisticated fragrance experiences. My care for the environment extends to the packaging, ensuring it is recycled and recyclable. My two dogs are a huge part of my life! Both are rescued Keeshonden, a Dutch spitz breed related to Huskies and Chows. 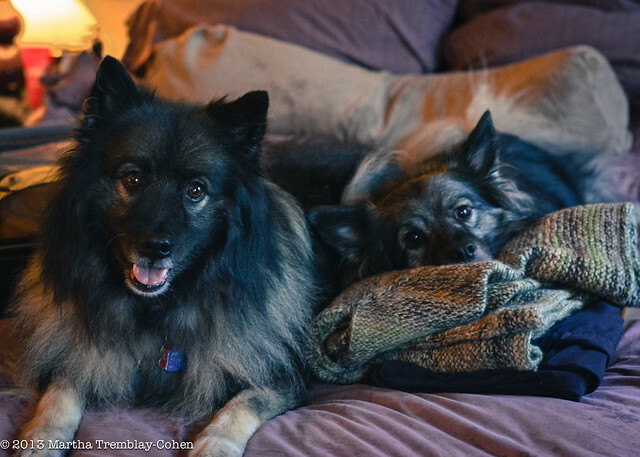 Tanuki was a stray, found wandering NE Ohio and Mr. Jiggs was adopted through Keeshond Rescue of Ontario. They have been known to nap on piles of handspun sweaters from time to time. I donate a portion of all sales to Keeshond rescue. You can read about Mr. Jiggs and other rescues' stories at the Keeshond Rescue Ontario website.